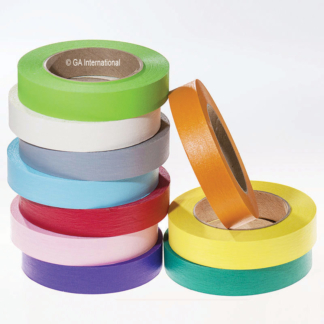 General Use laboratory tape, available in a wide range of eye-catching colors (white, yellow, green apple, orange, red, light blue, and more) and sizes. 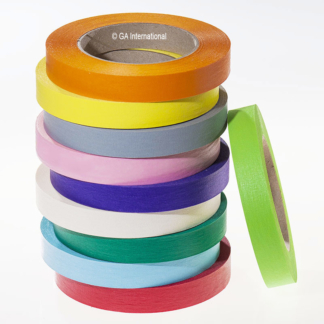 Perfect for color coding and for labeling glass and plastic labware. 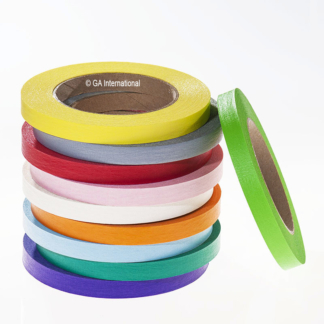 The removable color lab tape can be inscribed with our permanent markers as well as ball-point pens and will adhere to cardboard, plastic, glass and even metal surfaces. Glove-friendly, it will not leave behind any adhesive-residue upon removal.